CooksRecipes has quality, kitchen-tested recipes for sandwich fillings and spreads that you can count on for successful deliciousness. 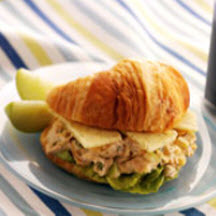 A delicious chicken salad recipe that certainly can be filed under "gourmet dishes perfect for a luncheon entrée". Recipe by Chef Michael Smith. 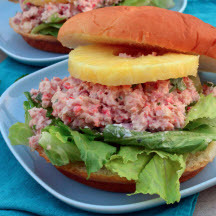 Hawaiian-style potato chips, slaw, or macaroni salad would be a natural alongside these easy-to-make sandwiches. 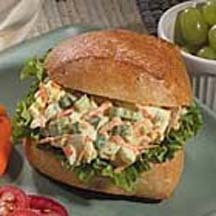 Serve this hearty, veggie-loaded egg salad on split hard rolls, bagels, whole wheat or white bread slices or croissants.